Professional resurfacing is a great way to protect your investment and rejuvenate your existing pool while giving it a brand new look, increasing it's value while adding years to it's life. Our swimming pool renovation and remodeling is second to none. Replacing outdated pool equipment with advanced eco-friendly automation products makes your pool easier and more economical to operate, offering you an average proven energy cost savings of $620 to $1,360 annually depending on how much you use your pool. Whether you are looking to revitalize your existing swimming pool and update your equipment or completely renovate, our experts can help. From small repairs and leaks to complete pool removal and replacement, we handle it all. A no-obligation on-site consultation can quickly determine the scope of your damage and outline the options that reflect your needs to restore your pool. Involving us in the planning stages of your renovation can save you thousands in operating costs. Equipment upgrades and replacements of outdated pool equipment. Salt water conversions, which are less expensive, easier to maintain, softer on the skin and eyes eliminating irritants of chlorine, as well as health risks of too much or too little traditional chlorine. Salt water systems also eliminate the need to buy and store toxic chemicals. Installation of new and replacement safety covers. 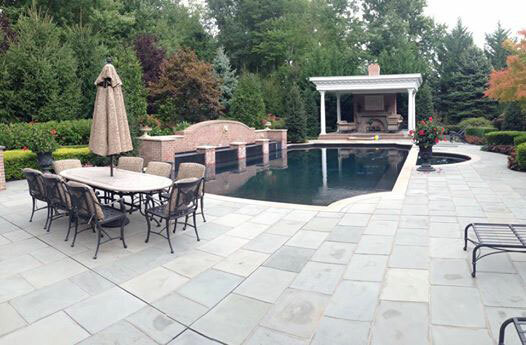 If you have a pool that needs renovations or upgrades, please contact us today to discuss your renovation needs.